Replay all the wars that have shaped U.S. history. Is there a better alternative to American History Lux? Is American History Lux really the best app in Strategy and War category? Will American History Lux work good on macOS 10.13.4? 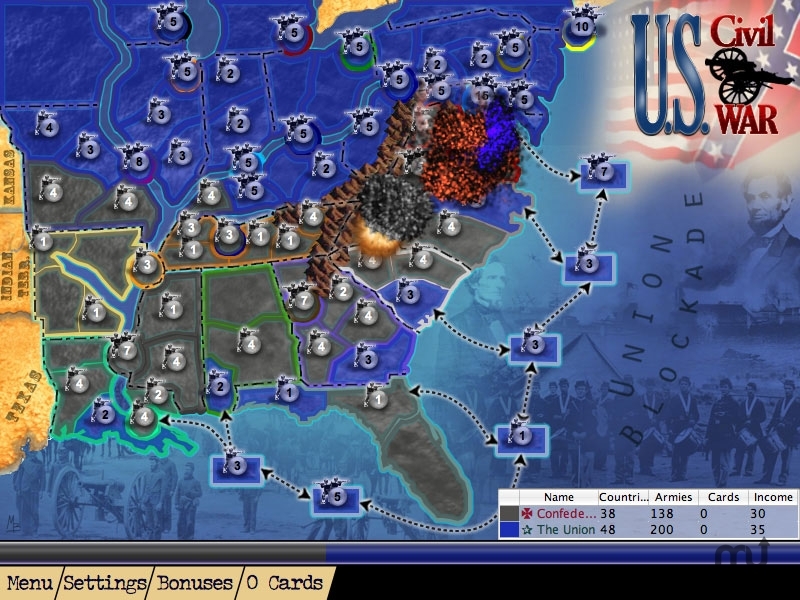 American History Lux lets you replay all the wars that have shaped U.S. history. Have fun and learn some history and geography while you're at it. AHL includes the French and Indian War, the American Revolution, the Mexican-American War, the US Civil War, 3 separate World War theaters, the Korean War, the Vietnam War, and finishes with the Iraq War. Version 1.12: Release notes were unavailable when this listing was updated. Mac OS X 10.3.9 or later with Java 1.4.2 update. American History Lux needs a rating. Be the first to rate this app and get the discussion started!